Have you been injured in a car crash? We can help you get back on the road to recovery. Looking for a chiropractor in North County St. Louis? 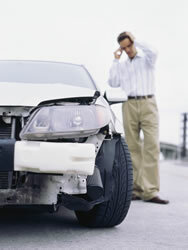 Have you been injured in an Auto Accident Injury? Look no further than Chiropractic of North County! We provide quality chiropractic care to patients in North County St. Louis, MO 63136. Whether you're searching for effective auto injury relief or a way to get out of pain Chiropractic of North County can help. We proudly serve the surrounding areas: Jennings, Country Club Hills, Dellwood, Flordell Hills, Moline Acres, Spanish Lake, Ferguson, Castle Point, Bellefontaine Neighbors, Florissant, Black Jack, Normandy, and Hazelwood. Call our office at (314) 867-8888 for an appointment today!